The EVO Championship Series is an annual event held in Las Vegas bringing together top players who specialise in a variety of fighting games and finding out who’s the best. This year was no different, with multiple games represented including Dragon Ball FighterZ, BlazBlue: Cross Tag Battle and, of course, the Super Smash Bros. franchise. 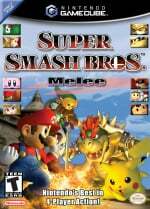 Swedish player "Leffen" took out the Super Smash Bros. Melee competition, having to overcome prominent opponents such as "Hungrybox" along the way, while "Lima" from the US won the Super Smash Bros. for Wii U event in what was described as an "unorthodox" final featuring two Bayonettas. Did you watch either or both of these EVO 2018 events? 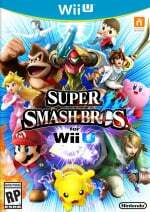 Are you a fan of the competitive Smash scene? Tell us below. Hey this is pretty cool. Could you guys follow the Pokemon World Championships this year too? is bayo still too op? That Smash 4 grand finals was a joke. Honourable mentions, Mario Galaxy, Splatoon and Breath of the Wild. This is pretty interesting, maybe you should consider following and covering parts of the Pokémon World Championship (as Heavyarms said)? I've heard a few people walked out of Smash finals. Both Smash tourneys won by s-tier characters in a horribly predictable fashion...yep, tiers don't matter...in casuals...until your opponent gets butthurt and changes to an u-air Cloud 90% of the time. I hope ultimate is balance better than past games. I read it's because the Smash community in EVO were A-holes booing Bayonetta players from the start. It's also been reported that one of these kids (16-17 y/o) received multiple death threats prior due to playing Bayonetta in earlier tournaments. That swedish Melee GF was over very quickly. @BensonUii The booing is one thing, but the best players of the tournament making a mockery of their game's competitive scene is even worse. The stalling, non-competitiveness, and crowd taunting that occurred in the Smash 4 grand finals in front of the largest audience the game gets every year made the Smash 4 scene a joke. The Japanese players who spent so much money to compete in Evo are ticked off, and rightfully so. I understand Lima and Zack teenagers and the crowd was rowdy, but the two acting the way they did disrespected Evo and pretty much killed the Smash 4 community. @SmaggTheSmug A lot of people walked out. Apparently half of the crowd did. That's good I guess. I'm hoping Ultimate will unite both so Nintendo can only focus on one big Smash tournament and one for Splatoon 2 so Nintendo can give another slot to ARMS or Pokken too. But I heard the Melee community is stubborn so I guess that's not gonna happen. LOL. Two Bayonettas in the finals is suddenly "unorthodox" now? Smash 4 is just a mess, I don't find melee interesting either really as Wavedashing ruined that game for me. I hope they can balance ultimate better. @TheBigK @LastLife Unorthodox in terms of how the match played out. Not because there were two Bayos in Finals. Also, they're are rarely Bayonetta Dittos in the Grand Finals to big Smash 4 tournaments.